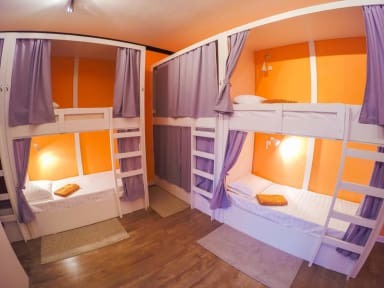 Nochleg Hostel i Astana, Kasakhstan: Reservér nu! 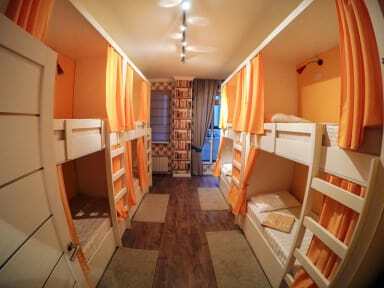 We provide 4 rooms: 6 bed mixed room, 8 bed male room, 8 bed female room and 2 bed room for families. Rooms include a shared bathroom. For your comfort, you will find slippers and free toiletries. A flat-screen TV with satellite channels is provided. You will find a 24-hour front desk at the property. We organise a pick up from the Astana International Airport. The location is in one of the safest areas of Astana. We can promise that our guests have a relaxed and comfortable stay with us. Here you can meet people from all over the world, make friends and share your travel stories with other travelers. Our rooms are clean and comfortable and we offer modern facilities, safe accommodation, hardworking staff, postal service. 3. Only cash is acceptable upon check in at the property.